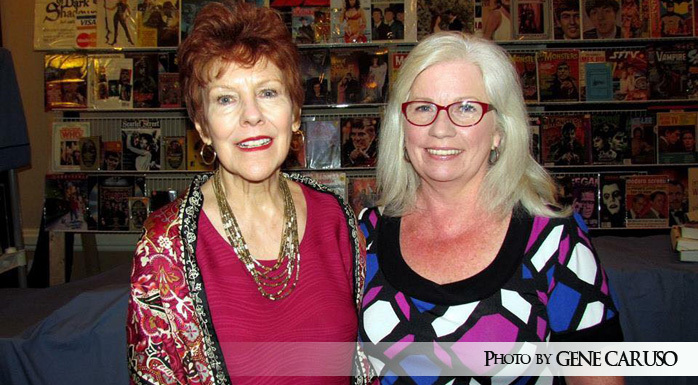 The Three Sarahs: Sharon Lentz meets fans dressed as her character from DARK SHADOWS. This past weekend DARK SHADOWS fans gathered in rainy, atmospheric Norwalk, Conn., for the second Friends of the '91 Cast Reunion event. This was also the 49th Anniversary of the show. On hand were Sharon Lentz, Donna Wandrey, Jim Fyfe, Joanne Dorian, Beverly Hayes, Bobby Woronko, Christine Domaniecki and Nick Besink. In addition to these DARK SHADOWS cast and crew, Helen Samaras and Nancy Kersey ("Remembering Jonathan Frid") also attended, all giving short presentations. Fans were treated to a bus trip and tour of Essex, Conn. which was featured as Collinsport in many of the early episodes, and lunch at the The Griswold Inn, aka "Collinsport Inn." The Lockwood-Mathews Mansion featured in HOUSE OF DARK SHADOWS offered tours for fans at a reduced rate. "I got to be one of the first original cast members to have my photo taken in front of the Evans cottage, and even met the current owner," said Lentz, who played "Sarah Collins" on the original television series. "It was fun seeing the fan enthusiasm, and new generations of getting in on the action. 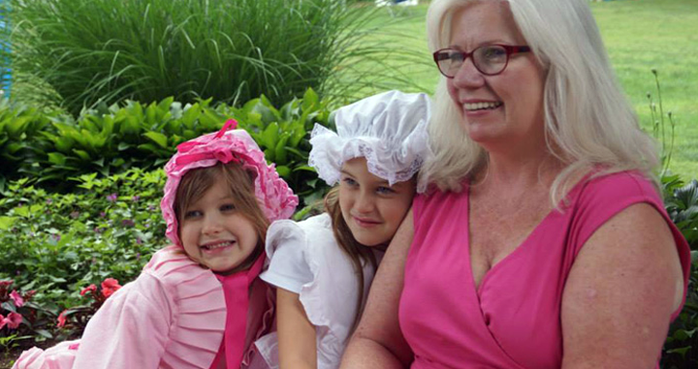 Two little girls recreated little Sarah, 1795 & 1967 ... they looked amazing and were so sweet to talk to." Jim Fyfe and Joanne Dorian, actors from the 1991 DARK SHADOWS "revival" series. 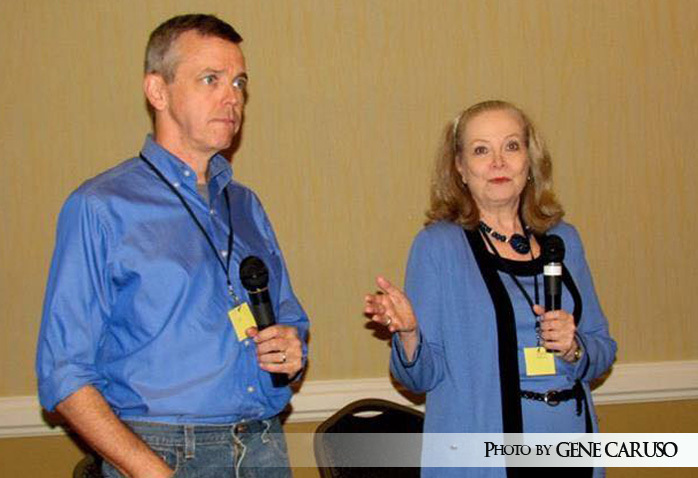 This intimate event personified the spirit that drives DARK SHADOWS fandom. Although smaller in size than the traditional Dark Shadows Festival, guests were more accessible, a variety of vendors were selling more stuff, and fans were able to enjoy each others company without fear of missing one second of the weekend. This event was a well-run success. From left, Gene Caruso, Christine Domaniecki and David Caruso at last week's fan event in Norwalk, Conn.
Inset, Domaniecki is crowned Miss American Vampire by Jonathan Frid in 1970. For me, meeting Miss American Vampire 1970 was the highlight. It was a pleasure to be bit by the charm of Christine Domaniecki after seeing her for so many years in monster magazines and on the internet. I look forward to seeing her again. Having an event that is fan run, and included cast from the original and 1991 series is an awesome idea! It was so great to be a part of, and to spend time with my friends and fans in such an intimate setting.